This small Eastern European state (the size of Maryland) emerged on political map after the collapse of the Soviet Union in 1991, but it still hasn’t figured out its trajectory or its foreign policy, while its population continues to suffer from poverty.The average monthly salary in the economy is 300 EUR (2018), GDP of Moldova is $11.435 billion (139th in the world, 2018). Agriculture and services are key sectors of the economy, which is plagued by corruption. There was a famous case in 2014 when $1billion (then 12% of GDP) was stolen from the budget. A decade ago the local Communist Party lost control of the political steering wheel when president Voronin was forced out by street protesters supported from abroad in 2009. Today, the political landscape of the Republic is shaped by four main political parties: PSRM (socialists), PDM (democrats), ACUM (liberals), SOR (eurosceptics). The results of those elections were rather uncertain. All of the competing parties simultaneously won and all of them lost the elections. None of the parties that are currently represented in the main legislative body possesses a sufficient number of representatives to form its own government, not even the Socialists who received the most votes. The only possible solution in a such situation is to create a parliamentary inter-party coalition, but the parties are far from reaching a compromise. It looks like the start of a new parliamentary crisis is under way. Nevertheless, those who are in power today seem not to worry about the coming political impasse. The prime-minister Pavel Philip (concurrently PDM party vice-president) reassures: “Delaying negotiations on forming coalition is not going to weaken the government”, he explains: “inasmuch as the state secretaries will be conducting their duties properly …They continue working like nothing has happened in Moldova, appointment of new ministers doesn’t matter…”. This might sound reassuring in any other European country. Yet this phrase has an ambiguous even ominous meaning in Moldova. 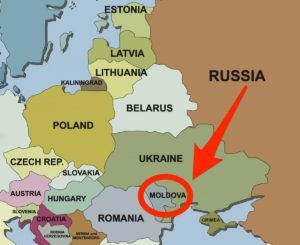 It’s not a secret that in Europe Moldova is called “captured state”.The majority of Moldavian citizens agree with this unpleasant definition. Everybody in the republic knows who controls government institutions, which is why Vlad Plahotniuc, a powerful oligarch has the nickname “Puppet master”. His party PDM is running the country today. Thus, not only insiders realize the irony of the phrase “captured state,” emphasizing that the state secretaries (appointed with the consent of “Puppet master”) fulfill their duties like nothing has happened.